Some people just do some things so well that they garner a loyalty amongst their clientele that when they move from a successful joint to start another place their success is never in doubt. Big Phil at The Foundry is one of those Leeds restaurateurs that is just one of these people. At the famous Leodis he was part of a great Leeds legend and when it was sold to Raymond Blanc’s Brasserie Blanc chain he set up The Foundry in the up and coming Round Foundry complex in Holbeck. A risk for some and even I thought it would be a challenge to make it work particularly as the competition included Sous le Nez, La Grillade, Kendals etc all very good in similar markets. Anyhow Phil has built a great place that does excellent dishes that are traditional and in a good way predictably consistent. 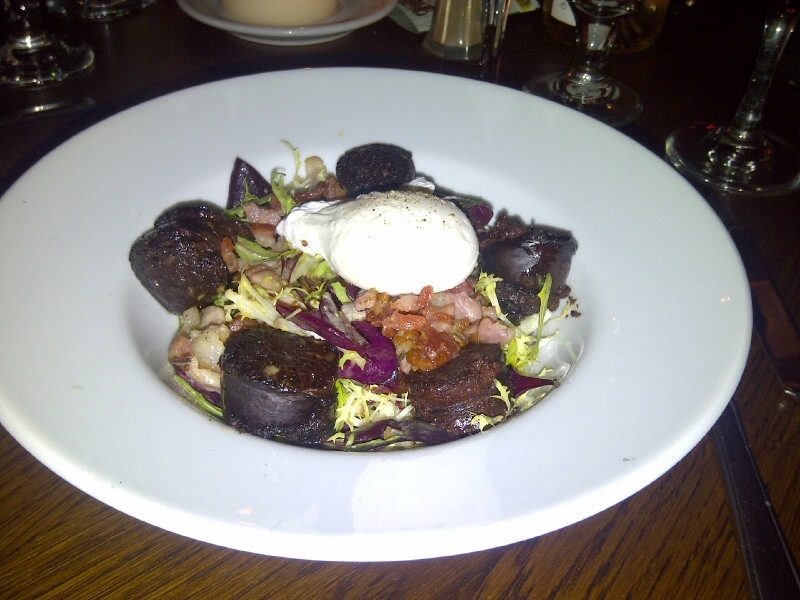 We get to the Foundry about once every couple of months and I stick to the same few dishes but my absolute favourite is the black pudding and bacon salad starter which is fantastic. I had a confit of duck leg as a main which would be a match for any Parisian restaurant. Honestly one of the most honest great meals I have had over the last 12 months. 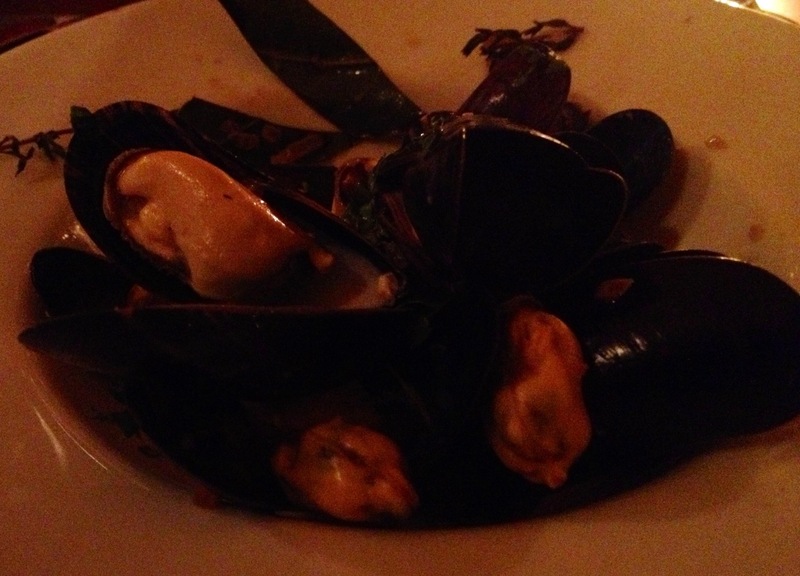 My dining partners had, chicken liver pâté and moules for starters. Mains were rib eye steak, calves liver with bacon and beef wellington, not a complaint to be made! Sometimes you just need to be fed well and The Foundry won’t let you down unlike my visits to Brasserie Blanc. This entry was posted in Leeds, restaurants by dang1980. Bookmark the permalink.